Leo Ehrenreich (1882-1962) played a supporting role in Queens civic life and was instrumental in the creation of this playground. His father, Moses, owned Ehrenreich Bros. Coal Yards and was a successful real estate developer. Leo attended New York City public schools and graduated from DeWitt Clinton High School. On June 7, 1923, he married Minnie Manasse and within months, they purchased a house in Kew Gardens. After moving to Queens, Ehrenreich became active in politics. He became the first President of the Santee Regular Democratic Club. But Ehrenreich soon underwent an ideological transformation and decided to disassociate from all political organizations. He became what many have called a “One Man Civic Association,” meaning his campaigns were conducted with a purity and singularity that would not succumb to the pressures of political organization. Ehrenreich supported his independent civic activities as a salesman for the Lefrak Real Estate Organization. Ehrenreich’s initiatives focused on improvements in traffic efficiency, pedestrian safety, and the creation of recreational facilities in Kew Gardens and Forest Hills. Beginning in 1937, he petitioned for the construction of more playgrounds in his district. He also campaigned to increase the number of police officers patrolling New York’s 6,000 miles of streets. In 1938, he began a successful program to install traffic signals in Queens’ 50 most dangerous intersections. In conjunction, he supported the creation of the Queens Traffic Advisory Committee. Between 1939 and 1941, Ehrenreich helped convince the City to pave Coolidge Avenue and Lefferts Boulevard for the first time. 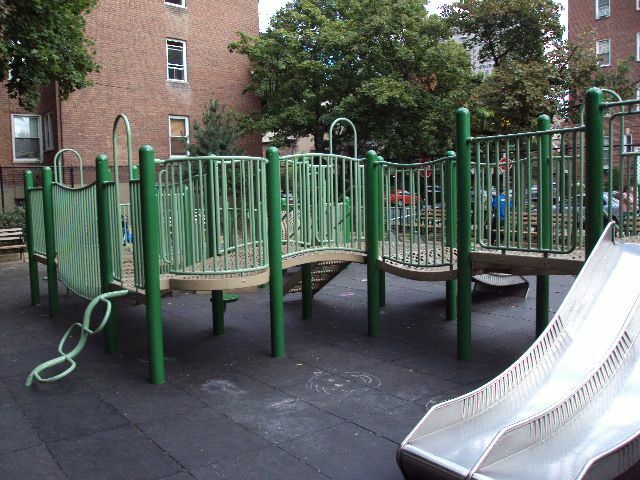 During this period, Ehrenreich began working to create the Austin Street Playground. He petitioned Parks Commissioner Robert Moses and Queens Borough President George U. Harvey to purchase the plot. On May 2, 1947, after years of negotiation, the area was purchased and the playground constructed. The remainder of Leo Ehrenreich’s “one-man political career” contained a successful parking meter campaign designed to reduce parking congestion and stimulate business on Queens’ busiest streets. In later years, he became known as “the unofficial mayor of Kew Gardens.” During 1952, two local fire companies, Engine Company 305 and Hook and Ladder Company 15, named him as a honorary member. Ehrenreich passed away on December 8, 1962. He is survived by two daughters, Gloria and Leone. 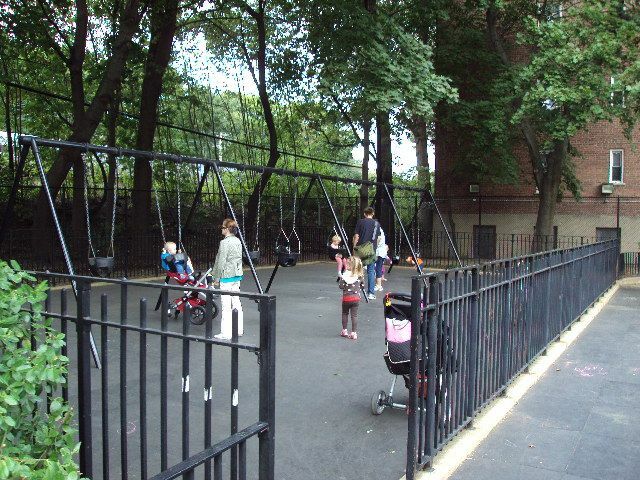 The playground is bounded by 76th Avenue and 76th Drive and lies in-between Austin Street and the main line of the Long Island Railroad. 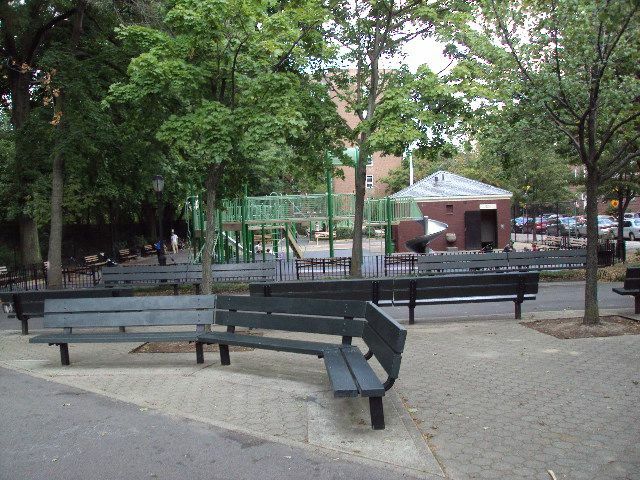 In 1963, the City Council enacted a local law changing the name to Leo Ehrenreich-Austin Street Playground in honor of the community activist. 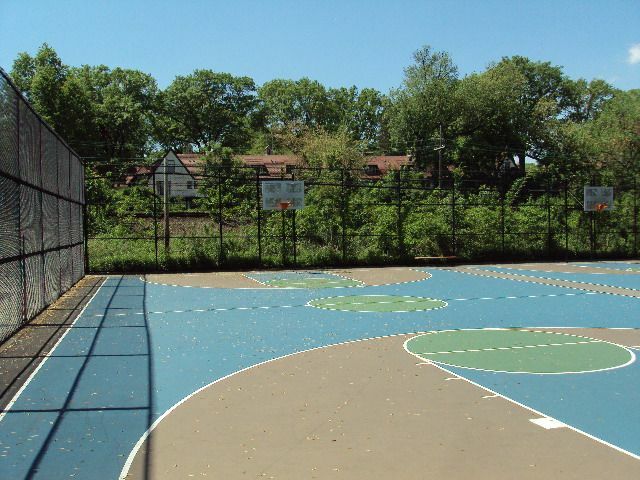 The park’s amenities include multiple swing sets, modern playground equipment, a kid’s sprinkler, 4 basketball half-courts, and 2 handball courts. The playground’s animal art is a 3 ½ foot elephant placed opposite the swing sets. The area is also a Playground Associate Site. 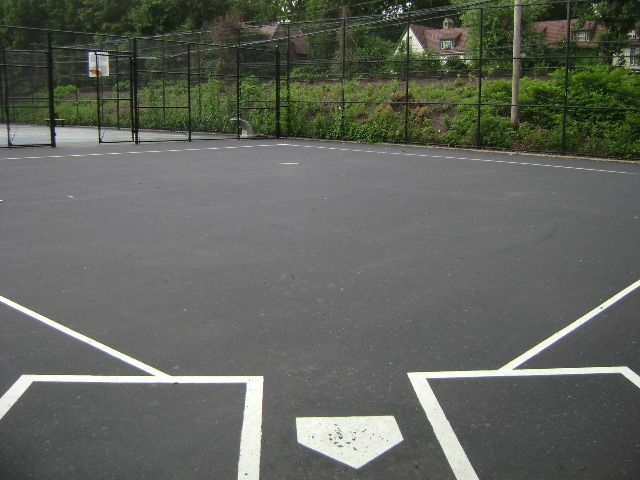 The park employs an individual, Monday through Thursday, to clean and provide recreation activities for the community. Although Forest Park and Flushing Meadow Park lie within one-quarter mile, their access routes require crossing main arterial highways. This playground provides safe pedestrian access to local children, corresponding with Leo Ehrenreich’s vision.